Dementia is a term used to describe a group of symptoms affecting our ability to remember and think. The condition can be so pronounced that daily functioning, like the ability to cook for yourself and managing finances, can be negatively affected. An estimated 46.8 million people were living with dementia in 2015, with this number expected to reach close to 50 million by the end of 2017. The results of a new study have found that our sense of smell may be the key to identifying the elderly’s risk for dementia development. Our sense of smell is controlled by something called the olfactory nerve. This is the only cranial nerve found in the body that is exposed to the outside world. The nerve is connected to the central nervous system and can be exposed to environmental hazards such as pollution and pathogens. In fact, olfactory deficits have already been linked to early signs of Parkinsons and Alzheimer’s disease; both common causes of dementia. Olfactory dysfunction has also been associated with an increased risk of death—another study found that a loss of smell was a better predictor of death than a diagnosis of heart failure, cancer, or lung disease. Researchers from the Universtiy of Chicago have just completed a five-year study that involved nearly 3,000 adults aged 57 to 85. They found that those who could not identify at least four out of five common odors were more than twice as likely as those with normal senses to develop dementia within five years. within five years after testing. It was also found that 89% percent of those who provided one or two correct answers also had dementia. This data points to a dose-dependent relationship between the degree of smell loss and the incidence of dementia. “These results show that the sense of smell is closely connected with brain function and health. 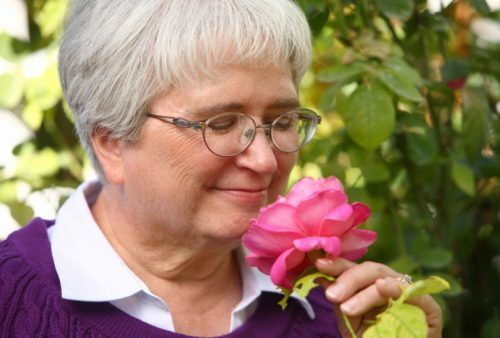 We think smell ability specifically, but also sensory function more broadly, may be an important early sign, marking people at greater risk for dementia,” said the study’s lead author, Jayant M. Pinto, MD, a professor of surgery at the University of Chicago. A loss of smell could mean that significant damage to the brain has occurred, which could explain the onset of dementia in these patients. The use of a simple smell test could be something that physicians use to diagnose the condition much earlier. The researchers hypothesize that a decreased sense of smell may signal a decrease in the brain’s ability to rebuild key components of the brain that decline with age.